Speech therapy is an important part of the lives of many children and adults who are struggling with their speech. In fact, 40 million Americans are suffering from communication disorders. About five percent of kids have developed noticeable speech problems by first grade. Working with a certified Speech Pathologist is the most recommended route to help overcome these problems. One-on-one therapy sessions can work wonders to improve various communication problems, including accent modification, aphasia, autism, and stuttering. In-person therapy has long been the way specialists have worked with their clients. Today, it’s no longer the only option. With the rise in technological advancements, we’ve also seen a rise in the ability to conduct therapy sessions online. Keep reading to learn seven reasons why online speech therapy is just as effective as in-person therapy. You might fear that the Speech Pathologist is not as qualified as the one available for an in-person therapy session. Nothing could be further from the truth. When taking an online therapy session with a reputable company, you will be working with a qualified and certified Speech Pathologist. You can even hire various specialists who can help you with specific conditions or problems. If you’re living in a rural area, you might not have easy access to a Speech Pathologist. Getting to and from appointments can be difficult or involve lengthy drives. This inconvenience may even make you miss appointments due to bad weather or busy schedules. Taking therapy sessions online removes this problem entirely. You’ll be able to gain access to a whole network of Speech Pathologists at your fingertips. A specialist might be even harder to find in your local community. By signing up for your therapy sessions online, you’ll be able to easier locate the expert you need. Getting to and from your therapist’s office can pose a significant challenge on its own if you struggle with mobility problems from aphasia or a stroke. Going to an in-person therapy session might mean depending on others for rides and hoping that you are feeling physically strong enough to leave the house. What happens if you can’t find a ride or you’re feeling physically exhausted? Do you miss your therapy session? This is another problem that is resolved with online speech therapy sessions. Therapy can commence in the comfort of your own home, so you won’t have to worry about these problems as long as you have a PC and stable internet connection. We understand that many people are living busy and hectic lives. Between work or school and other daily tasks, finding the time to go to an in-person therapy session can be difficult. This is made even harder by the fact that most in-person therapy sessions are only available during normal business hours. However, online therapy sessions offer greater flexibility, so you can more sign up for sessions around your schedule. If you feel a little embarrassed or shy when going to therapy, you’re not alone. Many people get nervous or embarrassed at the thought of talking to someone face-to-face, calling the office to make an appointment, or speaking to someone at the front desk. While we assure you that there’s no reason to be embarrassed, you might benefit from online therapy sessions. They can help relieve any worries that you may have because the booking can be made online. Taking sessions from a comfortable environment may also help put you more at ease. This, in turn, impacts how effective the session is. The more comfortable and confident you feel, the better your session will go. Support groups can play a big role in how your communication improves. Having a social network of peers facing similar struggles as you will boost your motivation and help you make new friends. If there is no such support group in your local community, then you’ll be able to find one online. Online support groups will help you in the same way in-person support groups do – by providing reassurance, encouragement, and comfort. For kids with speech disorders, parental involvement can be a huge asset. But children who are attending speech therapy sessions in school or directly after school might not see as much parental involvement. We understand how difficult this can be. Maybe you have to work, prepare dinner, or run errands. 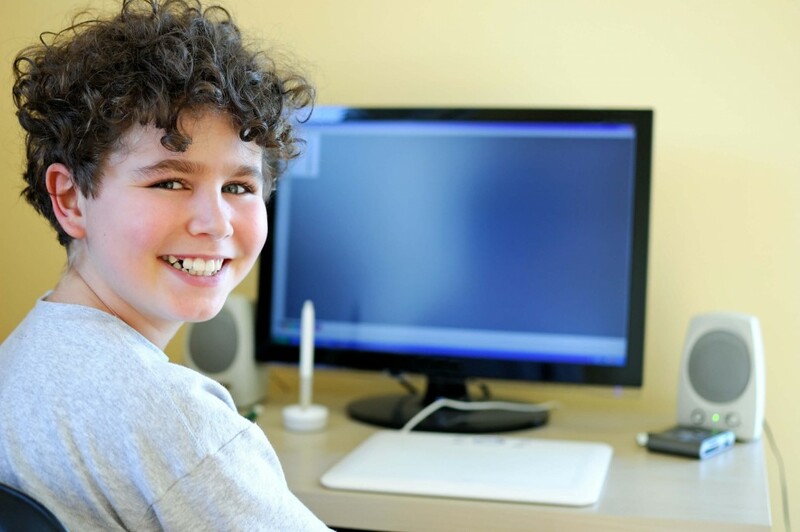 Compared to traditional methods, online speech therapy is more convenient for both you and your children. You will be more likely to stay for the session where you can really get a grasp on what is being done. Once the sessions end, you will then know what you can do to help reinforce these therapy techniques into the rest of your child’s day. Being involved in your child’s speech therapy session can do more than help them. It can also help you cope with learning that your child is suffering from a speech disorder. In-person speech therapy may have dominated the field since the beginning. However, online speech therapy is quickly gaining popularity worldwide. It has proven itself to be just as effective as in-person therapy. Both offer certified Speech Pathologists and various specialists as well as support groups. Online therapy has the added bonus of being more convenient, increasing parental involvement. Plus, it gives patients access to more Speech Pathologists and specialists in rural areas. It’s also easier on those who are struggling with mobility problems. Do you want more information? Please, visit our website to learn more. We are here to help.